Leading UK home assistance provider HomeServe has expanded its UK domestic franchise network by adding Huyton Plumbing and Heating to its North West portfolio as “HomeServe Wigan”. With offices in Huyton and Skelmersdale, Huyton Plumbing and Heating will now offer boiler installations and gas heating services to residential and domestic customers in Wigan and the surrounding areas, including Skelmersdale, Ashton in Makerfield, Westhoughton, and Hindley, under the HomeServe Wigan brand. The firm will continue to offer commercial heating, plumbing and building services across the North West under its existing name, but services offered to local homeowners across the region will be branded as HomeServe Wigan. The company’s new website is available at www.homeservewigan.co.uk. “This is a very proud day for our business”, said Phillip Crosby, Managing Director of Huyton Plumbing and Heating. “We’re delighted to be joining the HomeServe family and expanding our boiler installations and gas heating services across the local and regional domestic market. If local people and families need a new boiler or specialist heating services we want HomeServe Wigan to be the first name on their lips, and over the coming months and years we’ll work hard to earn that right. 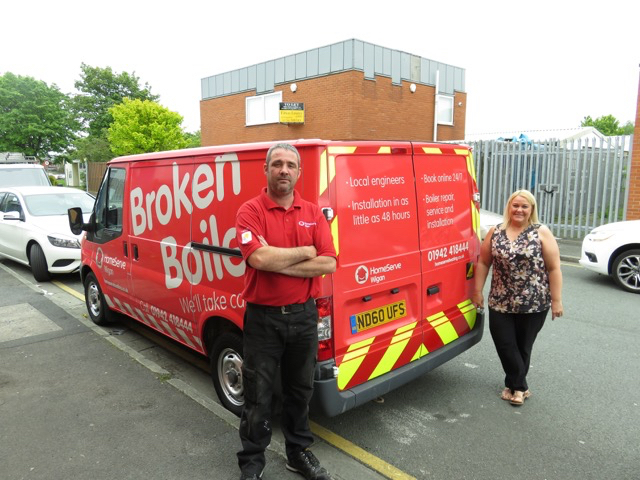 The new franchise relationship forms part of HomeServe’s ambitious plans to increase the share of domestic boiler installations and repair services across North West England. Huyton Plumbing and Heating joins an established network of HomeServe franchise businesses based across the UK. HomeServe Wigan now offers a range of domestic services including boiler installations, boiler servicing, boiler repairs, emergency boiler repairs, power flushing, appliance services and smart thermostat installations. HomeServe’s franchise business now covers many areas of England and Scotland, including the North West, Midlands, London and Yorkshire. For more details about Huyton Plumbing and Heating, please visit www.huytonplumbingandheating.com.